Over the past month I have been enjoying reading the blogs by Lisa Alzo, The Accidental Genealogist , Fearless Females, in honour of National Women’s History Month, and the other blogists who have also joined to tell the stories of the Fearless women in their family tree. 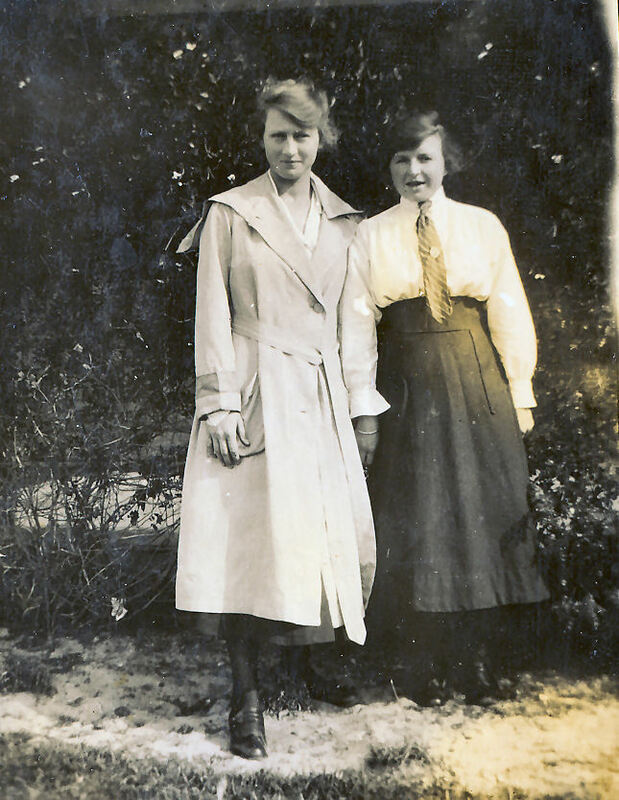 As this theme fits so well with the central theme of my blog The Other Half of My Tree - stories of my female ancestors, I thought I should honour some of the women from my family tree with the title of Fearless Females. The first to spring to mind was my husbands great Aunty Tilly. I was privileged to meet her in her later years, and found her to be an amazing lady. There are many stories that highlight her independence, stubbornness, resourcefulness, charity and acceptance of others. Tilly was the grand daughter of Elizabeth Taylor (nee Rushworth) and she certainly mirrored the tenacity of her grandmother living for over 100 years, and even into her late years was continually involved in community organisations. Matilda Marion Taylor was born on the 14 November 1900 to Richard Taylor and Marion Millar McNair. Her parents hand immigrated from England and Scotland (respectively) in the late 1870’s. They met and married at St Peters Church, Marrickville on the 1st August 1981. Matilda was the fifth child born, her siblings were William (1892-1976), Elizabeth Annie (1894-1896), Richard (1895-1965), Jessie (1898-1975). Unfortunately, her oldest sister Elizabeth drowned on the family property at the age of two. 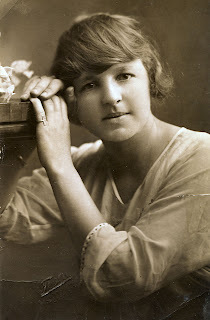 Her youngest brother Robert (1905-1981) was born when she was five. In the late 1920's the family moved from Arncliff to Moon's Avenue, Lugano, in the Marrickville area. Tilly's (as she liked to be called) father Richard was a stone mason.Tilly attended St George High School. She was a bright student and went on to study at the Sydney Teachers’ College. Following her graduation in 1920, she was appointed to the teaching staff of the Brewarrina School in far western NSW. This posting must have presented quite a few challenges to the young girl who had been brought up in the city. Brewarrina was about 800 kms north-west of Sydney and was very much a frontier town, with very few amenities. In these times young teachers were expected to take on postings in the country and most took it in their stride as part of the learning process. On one of my visits to Aunty Tilly’s house in Cowra I remember her relating the story of her first weekend in the town of Brewarrina.One of the local pastoralist's sons took her and another new teacher on a trip out into the country side to show them a little of the surrounds. Unfortunately, there was a mishap with the car’s fan belt and the young gentleman had to ask if one of the ladies would mind providing one of their stockings to make up a makeshift fan belt to get them home. Her face was so funny when she told the story, reminiscing on an event that she considered a little risqué. At about the same time as Tilly moved to Brewarrina, her future husband, Harold Vincent Holman, moved to Gunnedah (just over 400 kms away) to take up the position of Town Clerk. Harold was a WWI veteran, who had joined the army at the age of 16 and was shipped to Europe to serve in France. When he returned from the war he studied to become a town council officer and his first posting was in Gunnedah. During this time, despite the distance between Gunnedah and Brewarrina Tilly and Harold met and courted each other. 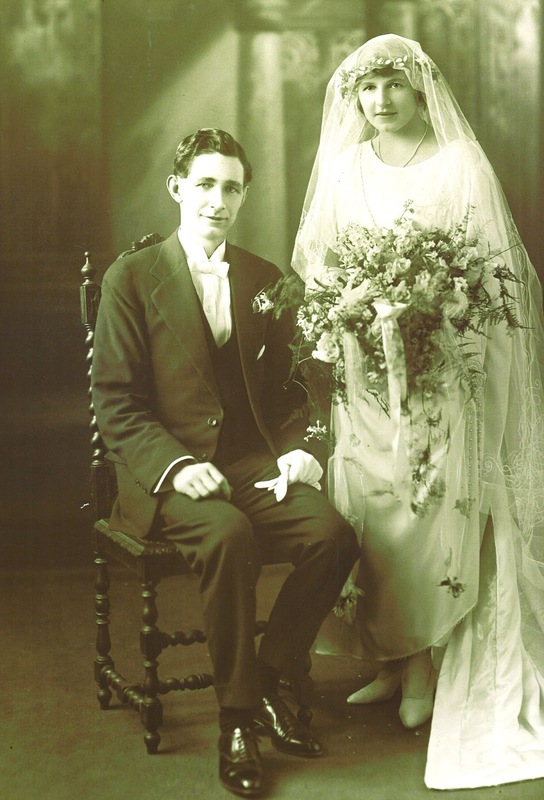 Three years later,(1923) they were married in Marrickville, Sydney and moved to a small village outside of the NSW town of Dubbo, called Geurie. 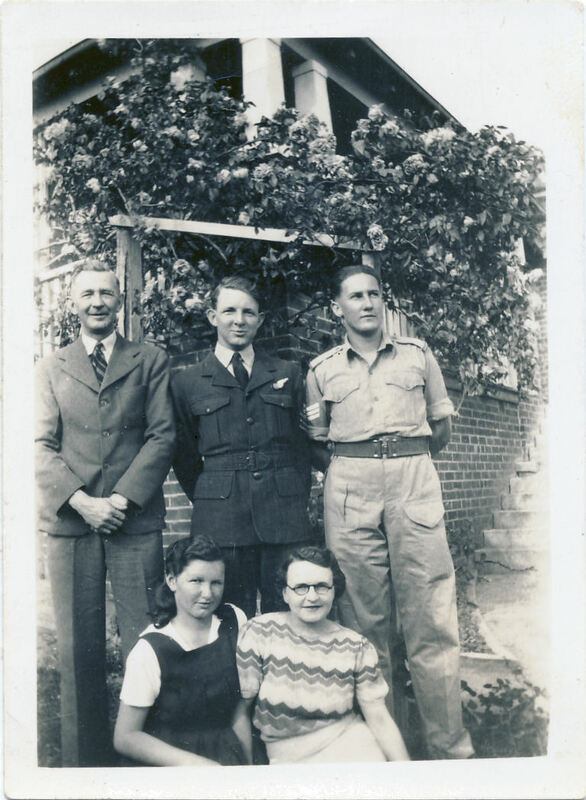 During their time here, Tilly and Harold were blessed with three children, Vincent, Harold and Joan. 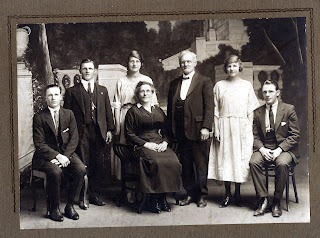 Shortly after Joan's birth in 1928 Harold was appointed Town Clerk at Cowra. Harold remained this position until his retirement. Soon after their arrival in Cowra, Harold and Tilly build a home in 2 Carleton Street, Cowra and this house remained as Tilly’s home until she reluctantly agreed it was time to move into a nearby nursing home, (at the age of 99). 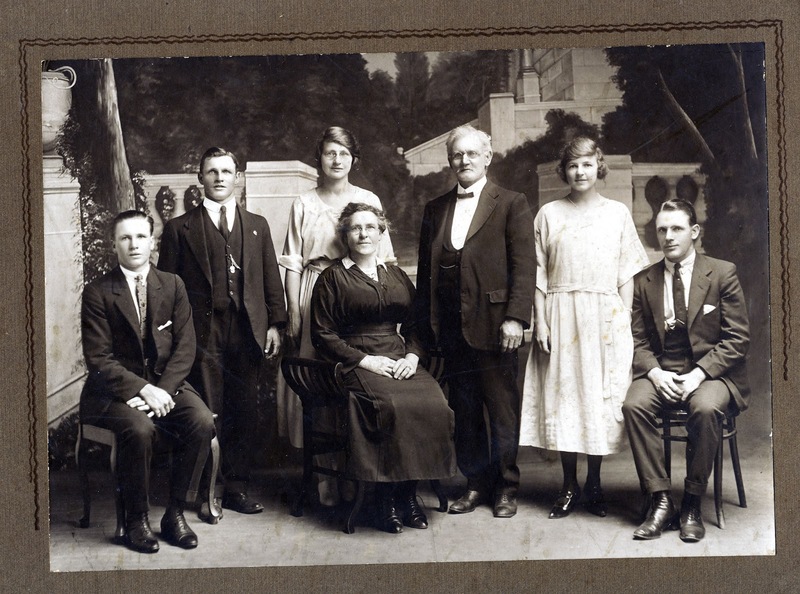 Even though Tilly had her hands full with a young family, and settling her husband into his new position as Town Clerk, she quickly became involved in many local community affairs, joining the local Red Cross, which she remained an active member for the rest of her life. Harold was very active in the returned soldiers affairs and Tilly was keen to follow his interests in helping ex-serviceman, particularly those who fell on hard times during the long years of the Depression. In 1987 Tilly received the Red Cross Long Service Medal with first and second bars and then in 1990 she received the Red Cross laurel wreath for 50 years service. Tilly's insatiable appetite for community involvement had her next join the Country Women's Association and the Hospital Auxiliary and she worked for both until quite recent times. In 1939 she was elected president of the Church of England Ladies' Guild and joined the Croquet Club, serv­ing as a committee member for many years. When the Second World War broke out and the military training camp was established near the town, Tilly added to her activities by joining the Women's Voluntary Service and on most days attended their shop and then worked in the canteen during the evenings, preparing food and giving support to the many soldiers who passed through the town. A continuing interest in education had her send her three children to private schools, to complete the last two years of their high school education. Vince and Harold want to St Patrick's in Goulburn, which was renowned for its strong discipline, and Joan to St Catherine's in Sydney. In 1956 Tilly became a Foundation Member of the Cowra Women's Bowling Club and undertook a range of responsibilities on its executive committee for many years, including its secretary, later vice-president and its Official Delegate to the National Conferences. She was elected a Life Member in 1971. Her love for sport was never diminished and although a diminutive woman, she played a fair game of golf in the years before the war and later became devoted to bowling and the many social activities that came from membership of the club. She relished the annual bus trips to Melbourne to attend the Melbourne Cup and joined in the many activities on the way. She continued to make the annual bus trip to Melbourne until she was in her late 80's. Her husband and three children predeceased her, but her days of sadness quickly passed as she found comfort in her countless activities, many friends, and her pet dog, cat and budgerigars. The grandchildren and their children became a vital part of her life and she took every opportunity to visit them and to enjoy their company. She thought nothing of travelling 100's of kms for a family event. Sometimes she travelled by air and on others by bus and train. She was quite undaunted by the difficulties old people encounter as they attempt to climb in and out of vehicles and find their way around in the push and shove in getting from place to place, but if in any trouble, she had no hesita­tion in asking, sometimes demanding, that a passing stranger provide the necessary assistance. Having to leave her pets behind could have been a hin­drance to her many trips but neighbours were brought into play and, willingly or not, agreed to mind them until she returned. Aunty Tilly in her later years. Before the war, her husband kept a car in the little shed behind their home, which was a joy for his children's friends to inspect and, if not seen, to climb into and admire the brass fittings and imagine driving it away. Tilly didn't learn to drive until quite late in life and rarely went on her own, which may have been a blessing in disguise, as she was always very positive in her dealings with others, never considering that what she wanted was difficult or impossible to deliver, and if that had been trans­lated to the road, to often it could have created problems. She handed in her licence when she turned 80 and joined the Senior Citizens' Club, probably believing she could help the younger members, and ten years later the Arthritic Club, which awarded her Grandmother of the Year in 1992. AuntyTilly Holman was an quite a local icon. She gave an enormous amount to the community, never wanting or expecting any recognition or benefit. She always accepted people for who they were, without any prejudice or bias. It would not be possible to count the number of people who in some way or another benefited from her work. When she reached her late 90's she realised that it was becoming too difficult for her to live by herself, so she agreed to move into a Nursing Home. 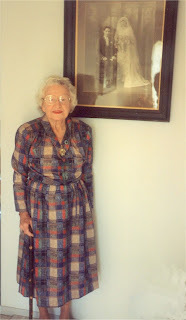 She was the proud recipient of a letter from the Queen when she reached 100 years. It was not long after this that Aunty Tilly passed away in 2001. She sounds like a great lady! I was really drawn to her portrait and the wedding photo. A beautiful lady. She was amazing, I plan to write a little more about her in a "Sharing Memories post". There are so many stories. Aunty Tilly gave me this beautiful wedding picture still with original frame and glass.This photo is taken in our home in the 1990's when she came to visit us.